Scotch Whiskey is a world-famous spirit, and it's reputation is well deserved! You may enjoy a glass of Scotch, but you may not know what makes it so special - it's colorful history, or how it's manufactured. But don't worry, this Scotch Whisky Guide is going to change all that. At the risk of sounding obvious, Scotch Whiskey has to be thoroughly Scottish in order to have the honor of claiming that title! And that means that it needs to be produced (distilled) and matured in Scotland, and nowhere else. The Scots are so proud, and protective of, their wonderful creation that they have international protection of the term 'Scotch'. Any whiskey that has the word 'Scotch' in it's name HAS to have been manufactured in Scotland. True Scotch Whisky reflects the land of it's birthplace, and the people who created it, in many ways. It is traditionally made from barley and pure, clear water - both of which are in plentiful supply in Scotland. It also needs a cool, damp or moist environment in order to mature properly, again there's plenty of cool weather and moisture in Scotland! Scotland is a country which historically has proven it's strength and courage and fought fiercely for it's independence. So perhaps it's no surprise that Scotch Whisky is a drink which could be described as bold, strong and fiery... although it can also be smooth, almost sweet, a drink of depth and contrasts - just like Scotland itself! In the UK, Scotch Whiskey is consistently a top export (accounts for just under a quarter of the UK's food and drink exports), adding millions of pounds sterling to the economy each year. In the USA, the people's taste for 'Scottish Scotch' is growing each year, and the premium Scottish brands are becoming more and more popular. In England, a cup of tea is the answer to all life's little (and not so little) problems. In Scotland, whisky plays the same role. Whether it's a birth, wedding, funeral - or a 'hot toddy' to help you get over a bad cold/flu, historically it's a 'wee dram' that the Scots rely on. In the land of it's birth, Scotch Whiskey is spelled 'Scotch Whisky (without the 'e'), it is spelled the same way in Wales, Canada, Japan and many other countries. However, the Irish spelling contains the 'e' and this spelling of the word whiskey is also seen in the USA. The difference seems to date back to the late 19th century when the Irish and Scottish distilleries wanted to show a distinction between their products. As we live in the US, and this website is viewed by predominately American visitors, we chose to use 'Whiskey' in the page title and throughout the text. However, you will also find the traditional Scottish spelling appears many times. This is by no means an ideal solution, but we felt it was the best way to help people searching online. So, apologies in advance and please don't be offended if the word is spelled 'incorrectly' for your location! No one knows for sure exactly when 'Scotch' was first distilled in Scotland, but there is still a of really interesting stuff that we do know! Some historians think that Heather Ale (link to Heather page and ref), a popular drink brewed by the Picts and other very early inhabitants of Scotland, may have been a 'prelude' to Scottish whisky. There's evidence to suggest that this type of ale was brewed as early as 2000 BC, but of course it was very different in taste, alcohol level etc. Hundreds of years ago, the ancient Celts distilled an alcoholic drink whose Scottish Gaelic name was uisge beatha (latin name 'aqua vitae' meaning 'water of life'). Due to the pronunciation of this name, it gradually changed over time and with each invasion or influx of 'foreign, to 'usky' and then to 'whisky'. The spirit itself developed and changed too, eventually becoming the Scotch Whisky of today. 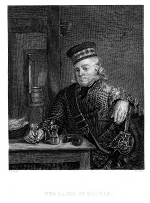 Although this early Scotch whiskey may not have been intended as a social drink - it was more likely used for medicinal purposes - it is the first recorded reference to the distilling of whisky in Scotland. The number of whiskey distilleries in Scotland has risen and fallen since this first historical mention, with taxation in the 17th and 18th centuries causing a drop in 'legally established' distilleries and a rise in illicit production. The different types of Scotch whisky, and how they're produced is actually pretty complicated. This type of Scotch Whiskey is made using only barley and water, at a single distillery. This type is made from barley and water, but with the addition of one (or several) other types of grain. 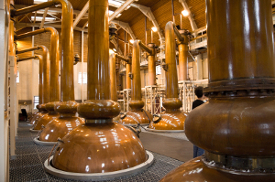 It's also produced at a single distillery and that is what the word 'single' refers to in it's name. There are also other categories and sub-categories such as 'blended malt whisky', 'vatted malts' and 'blended grain whisky'. Malting - This is the process which turns barley grain into malted barley. It is then dried and roasted, Scottish peat is often used in the part of the process and gives the finished product a distinctive flavor and aroma. Mashing - When the malted barley is ground/crushed and mixed with hot water to produce a liquid called 'Wort'. This is basically a sugary solution which is the basis for the whisky spirit. Fermentation - At this stage yeast is added to the Wort solution and left to ferment, usually for about 36 hours. 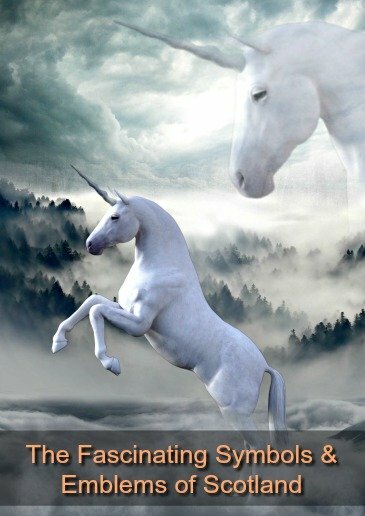 Distillation - This process 'purifies' the spirit that has been produced so far. Maturation - During the period of maturation, the whisky is stored in oak caskets or barrels for a minimum of 3 years. It can't be sold as whisky at this young age, but can be used in blended whiskies. Scotch needs to have matured for a minimum of 8 years before it can be marketed. In terms of distilleries, Scotland was historically divided up into four regions - The Lowlands, The Highlands, Islay, Campbeltown. The many small islands off the coast of Scotland are included in the Highland region. A fifth region was added, known as 'Speyside'. This also used to be part of the Highland region, but due to the large number of distilleries there it is now recognized as an individual region. The Lowlands - Currently there are only 3 whisky distilleries still in operation here - Auchentoshan, Bladnoch and Glenkinchie. Scotch Whiskey from this region tends to be the lightest and sweetest. The Highlands - Geographically a huge area, this region is home to more distilleries than any other. Not surprisngly, the whiskies produced here are quite diverse. There's no one-size-fits-all description, but in general Highland whisky is smooth, medium to full bodied and has a great aroma. 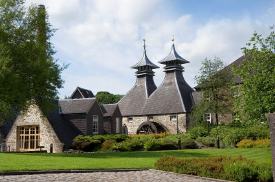 Some of the most famous Scotch whisky distilleries are here, including Clynelish, Dalmore, Glenmorangie and Oban. Speyside - This region also houses many world-famous whisky distilleries, in fact over half of Scotlands' malt whisky distilleries are in this area. They include Cragganmore, Dalwhinnie, Glenfiddich and Glenlivet. The whiskies distilled in Speyside are similar to those produced in the Highland region. Islay - There are 8 distilleries in operation in the Islay region, including Bruichladdich, Bowmore, Laphroaig and Laguavulin. The Scotch produced here is quite distinctive, with a strong flavor imparted by the peat used in the drying process. The earliest whisky distilleries were usually on farms, or operated by agricultural or farm workers, and the distillery duties had to fit around farm chores. Because of they were only operational for part of the year (post harvest until Spring). Today, many distilleries are still closed during August. The age of the whisky stated on a bottle is the age of the youngest whisky in that product. You can drink Scotch whiskey just as it is (aka 'neat'), or you can just add ice (ie 'on the rocks'), or water (use bottled spring water not tap water). Or perhaps ginger ale, coca-cola or whatever soft drink you prefer. 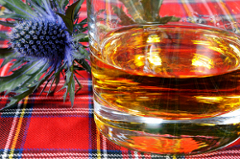 Dedicated scotch drinkers may insist that a single malt scotch should be drunk neat, with only a drop or two of water. However, blended scotch can be served over ice, or with more water and still be acceptable to 'connoisseurs'. Johnnie Walker Black Label 40 per cent AVB a firm favorite with scotch drinkers the world over. Probably the best blended scotch whisky ever.